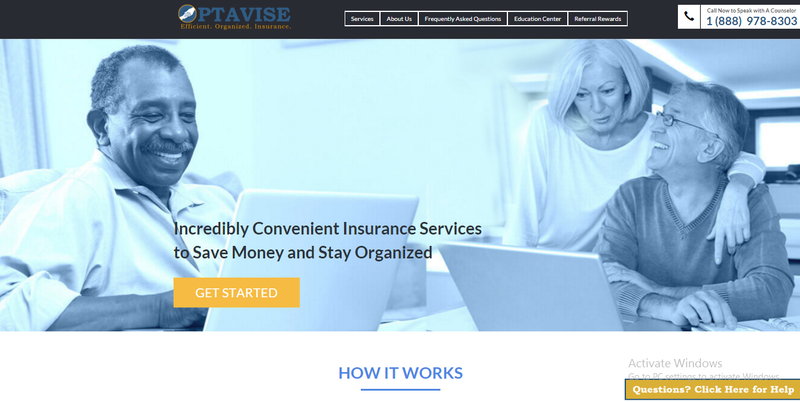 Optavise is a team of individuals that have come together to create a vastly superior experience for those choosing to protect their family, and themselves, with the powerful tools of senior life and health insurance. Our primary objective as an organization is to utilize the most comfortable and effective web-based process to help our clients search for, learn about, and identify the best priced insurance options from the top carriers in the marketplace. Once your education and identification process has taken place at your own speed and comfort, Clarity then provides the pathway to easily apply for and secure those coverages, all from the convenience of your own home. Our never ending promise is to help our clients always obtain the most suitable policy at the best price- in the manner of greatest ease and convenience possible. Optavise does this through leveraging technology to take advantage of the entire marketplace to beautifully display all of your options to you in a way that is clear and understandable. Additionally, our unique organizational structure has been carefully constructed to deliver the most independent and objective advice whenever extra guidance or insight is requested. Our team prides ourselves on our ability to deliver on this promise and we are proud to show you that the future of senior insurance services has arrived, with Optavise.